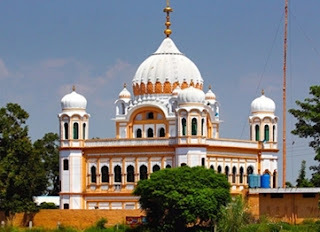 KARTARPUR SAHIB - The Corridor to International Peace: ਬੇਅਦਬੀ ਦੇ ਕੇਸ: ਆਖਿਰ ਕੀ ਬਣਿਆ ਸੀ.ਬੀ.ਆਈ ਪੜਤਾਲ ਦਾ? ਬੇਅਦਬੀ ਦੇ ਕੇਸ: ਆਖਿਰ ਕੀ ਬਣਿਆ ਸੀ.ਬੀ.ਆਈ ਪੜਤਾਲ ਦਾ? ਉਸ ਤੋਂ ਬਾਦ ਸੀ ਬੀ ਆਈ ਵੀ ਚੁੱਪ ਹੋ ਜਾਂਦੀ ਹੈ। ਅਕਾਲੀ ਦਲ ਜੋ ਸਿੱਖੀ ਦੇ ਨਾਂ ਤੇ ਵੋਟਾਂ ਲੈਂਦਾ ਹੈ ਉਹ ਵੀ ਚੁੱਪ। ਪੰਜਾਬ ਦੀ ਕਾਂਗਰਸ ਸਰਕਾਰ ਵੀ ਚੁੱਪ। ਤੇ ਬੇਅਦਬੀ ਮਾਮਲੇ ਵੇਲੇ ਉਭਰੇ ਮੁਤਵਾਜੀ ਜਥੇਦਾਰ ਵੀ ਚੁੱਪ। ਸਿੱਖਾਂ ਦੀ ਪਾਰਲੀਮੈਂਟ ਕਹਾਉਣ ਵਾਲੀ ਸ਼੍ਰੋਮਣੀ ਕਮੇਟੀ ਵੀ ਚੁੱਪ। ਰੋਜ ਰੋਜ ਖਬਰਾਂ 'ਚ ਰਹਿਣ ਵਾਲੀ ਦਮਦਮੀ ਟਕਸਾਲ ਤੇ ਦਲ ਖਾਲਸਾ ਵੀ ਚੁੱਪ। ਆਖਿਰ ਇਹ ਚੁੱਪ ਦੀ ਕੀ ਮਤਲਬ ਹੈ। ਕਿਓ ਨਹੀ ਸਾਡੇ ਚੁੱਣੇ ਹੋਏ ਐਮ ਪੀ, ਐਮ ਐਲ ਏ ਤੇ ਹੋਰ ਨੁੰਮਾਇਦੇ ਇਹ ਮਸਲਾ ਸਬੰਧਿਤ ਸਭਾਵਾਂ ਦੀਵਾਨਾਂ ਵਿਚ ਚੁੱਕਦ? ਕਿਓ ਨਹੀ ਪੁਛਿਆ ਜਾ ਰਿਹਾ ਕਿ ਭਾਈ ਉਸ ਸੀ ਬੀ ਆਈ ਪੜਤਾਲ ਦਾ ਕੀ ਬਣਿਆ? ਕੌਣ ਹੈ ਗੁਨਾਹਗਾਰ ਜੋ ਸਾਰੀ ਮਨੁੱਖਤਾ ਦੇ ਸਾਂਝੇ ਗ੍ਰੰਥ ਦੀ ਬੇਅਦਬੀ ਕਰ ਰਿਹਾ ਹੈ? Punjab Chief Minister Capt Amarinder Singh on Friday vowed to ensure that anyone found guilty of involvement in the Bargari firing and other incidents related to religious sacrilege and desecration would face strong and exemplary punishment. In a statement here, the Chief Minister said his government was totally committed to ensuring the stringent of punishments for those involved in such incidents, which could destroy the state’s communal harmony and peace. “Not a single person will be spared. We will make sure that every one of them is brought to book, whether directly involved or guilty of protecting the culprits,” the Chief Minister said, adding that any attempt to create communal strife or tension in the state will be dealt with an iron hand. He has also urged the Centre to ask the Central Bureau of Investigation (CBI) to expedite investigations into the three cases relating to sacrilege/desecration of the Guru Granth Sahib, which it had taken over in November 2015, said an official spokesperson. These incidents of sacrilege were part of a sinister design of Pakistani Intelligence agencies to destabilise the elected government in Punjab and disrupt peace and communal harmony in the border state. Capt Singh has requested the Central Government to advise the CBI to intensify their efforts to identify the perpetrators and trace these cases, including the Bargari sacrilege case, at the earliest. Lashing out at the erstwhile Badal government for recommending an extension in service to SSP Charanjit Singh Sharma, who had ordered firing in Bargari, the Chief Minister said that he had rejected the same and the officer had retired from the force. He said the officer too would have to face the consequences for his act. The fresh Commission of Inquiry, instituted by his government under the chairmanship of Justice (Retd) Ranjit Singh to investigate all cases of sacrilege, is probing every incident of sacrilege, including Bargari, and the role of controversial SSP Charanjit Singh Sharma, said the Chief Minister, assuring of early and stringent action against all offenders. He appealed to the public to approach the Commission if they have any information that could help in resolving the sacrilege cases. The state government had instituted a fresh inquiry commission into the incidents of sacrilege after scrapping the report of the previous commission, based on legal opinion. Punjab advocate general Atul Nanda had advised the government that the Zora Commission report had not answered the very substance of its reference, i.e an inquiry into the incidents of sacrilege, in which eye-witness accounts and other investigations had suggested the involvement ‘of big people’ and concluded that the police firing was ‘unwarranted and not in self-defence’. Meanwhile, the Chief Minister has also sought public cooperation for the Justice (Retd) Mehtab Singh Commission of Inquiry, set up to review the false cases and FIRs registered under the decade-long Akali regime. Jalandhar: Expressing concern over the steep increase in the rate of crime in Punjab, Jalandhar MP Choudhary Santokh Singh on Monday said that the law & order situation has stooped new low in the state and people have lost faith in the state government. Citing the recent cases of murders including of Mata Chand Kaur of Namdhari Sect in Ludhiana, an industrialist of Jalandhar, who was shot dead in broad day light and now fierce attack on the RSS Co-Chief Brigadier Jagdish Gagneja (retd), Chaudhary said that the law & order situation was heading towards worse times than the hay days of terrorism. The MP said that it has become more serious, as the Punjab Police has failed to track down even a single case of these heinous crimes. “I will strongly rake up this issue in the Parliament”, he said. Training his guns on saffron party, Chaudhary said “What for BJP is waiting? If BJP would have reacted strongly against the deteriorated law & order at appropriate time, firing incident on Gagneja could have been avoided”. “Leave apart the security of leaders of opposition parties or common man, if BJP fails to protect its own leader, how could anybody expect security from the Punjab Police, which is virtually functioning as a political tool in the hands of Akalis”, Chaudhary alleged. “Smelling humiliating defeat in the upcoming assembly polls, SAD has frustrated to adopt cheap tactics of communal divide in the state for vertical polarisation of people on the basis of religion”, he alleged further. Chandigarh, May 24 (ANI): The Central Bureau of Investigation (CBI) on Tuesday announced a Rs 10-lakh cash reward for information leading to arrest of the accused involved the desecration of Guru Granth Sahib at Bargari village and theft of a 'bir' from a gurdwara at Burj Jawahar Singh Wala village in Faridkot district. 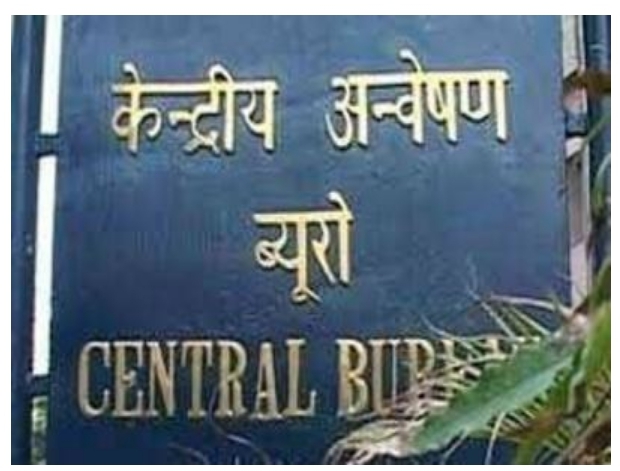 The CBI in a statement said it needs the cooperation of the general public for providing information about persons who have indulged in theft and then desecrating the holy Granth Sahib. "If on the information of any person, the persons involved are traced, he would be given a cash reward of Rs. 10,00,000/- (Ten Lakhs) by the CBI," it added. "The information may also be given to any nearest branch of the CBI located anywhere in India. The name of the informant will be kept secret," it added. Punjab government had earlier on November 1 had handed over the probe to CBI into the Bargari village sacrilege incident in Faridkot. 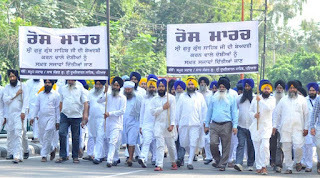 These related to the theft of Guru Granth Sahib at Burj Jawahar Singh Wala village in June, the putting up of posters in Bargari and Burj Jawahar Singh Wala villages in September inciting Sikhs to protest against the theft of the holy book and the sacrilege of Guru Granth Sahib with torn pages of the holy book being found at Bargari in October. Several Sikh organisations in the state had contested the claims of the Punjab Police about having solved the case of alleged desecration in Faridkot with the arrest of two people, and also the claims about the alleged “foreign hand” behind the incidents. Punjab Chief Minister Parkash Singh Badal on Sunday handed over the probe into three incidents of the alleged desecration of the Guru Granth Sahib to the CBI. The Chief Minister’s media advisor told newspersons on Sunday evening that the CM was deeply hurt over the incidents and wanted justice to prevail. The CBI’s probe mandate will be on three specific FIRs – regarding incidents in the Jawahar Singh Wala village, Bajakhana village and Bargadi village. Sources in the government said that since the Special Investigation Team (SIT) formed by the state police had been unable to make any headway into the probe after the initial successes announced by former DGP Sumedh Singh Saini, the state thought it was better to hand over the case to the CBI. A meeting between the CM, senior Akali leaders Sukhdev Singh Dhindsa, Prem Singh Chandumajra, Balwinder Singh Bhunder, DGP Suresh Arora and DIG Intelligence RK Jaiswal at the CM’s house preceded the announcement. Sikhs owing allegiance to various groups, including hardliners, had also sought the arrest of the “real culprits”, alleging that the two brothers were “falsely implicated” by the police. Under intense attack over handling of the situation, the government in a sudden move had also shunted out Punjab police chief Sumedh Singh Saini. A statement released by the Chief Minister’s office late at night said he was “extremely keen” to send a strong signal to the perpetrators of “this outrage”. Harcharan Singh Bains, the CM’s media advisor, said the CM took note of the demands made by several Sikh religious groups as well as the family of those arrested and “fully respects the sentiments of everyone”. “The Punjab government is fully sensitive to the deep emotional hurt caused by the incidents and has consistently shown full respect the sentiments and opinions of the Sikh masses….The CM and his deputy have accorded the highest priority to this case,” said Bains. 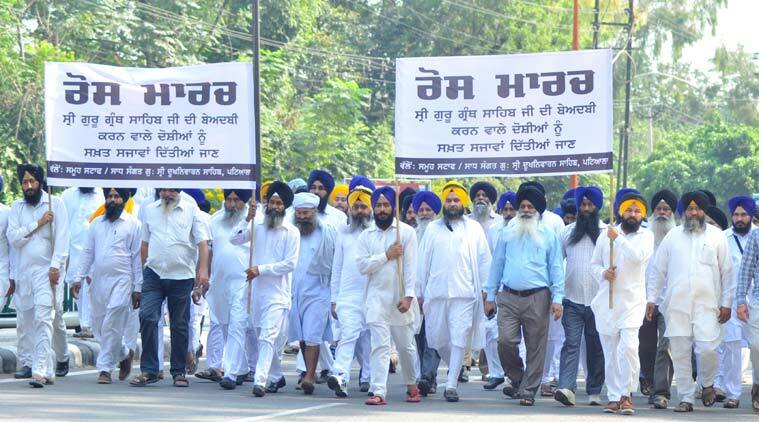 Punjab government on Sunday handed over the Faridkot sacrilege case to the CBI. CHANDIGARH: Under pressure from religious groups following protests against the arrest of two baptized Sikhs for desecration of Guru Granth Sahib, Punjab government on Sunday handed over the Faridkot sacrilege case to the CBI. The announcement came a day after a five-member panel of protesting Sikh preachers and government failed to reach a consensus over putting the two brothers Rupinder and Jaswinder under lie detector test. The government had offered to withdraw the FIR against the siblings if they cleared the polygraph test and also promised not to oppose their bail plea. The government on Sunday sent a recommendation note to ministry of home affairs (MHA) and department of personnel training (DoPT), seeking a CBI probe into three different cases, including disappearance of the Guru Granth Sahib 'bir' on June 1 at Burj Jawahar Singhwala village, pasting of handbills and posters with obscene messages on Sikh scriptures and recovery of 112 torn pages of the holy book in Faridkot. "Since the protests were erupting in several parts of Punjab, the government was under tremendous pressure. The sacrilege cases were also repeatedly occurring at different places. 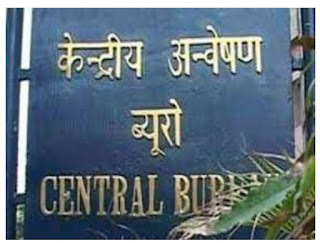 Lack of evidence has been a major problem and several top officials thought it's time the case be handed to the CBI for transparency," said a top government official. The announcement also came a day after the government took a U-turn on its earlier stand, saying the brothers were not arrested for the theft of the holy book from a gurdwara at Burj Jawahar Singhwala village on June 1. The government, however, clarified that it will not hand over the probe into police firing on protesting Sikhs, killing two at Behbal Kalan village on October 14. "This will be probed by the special investigation team (SIT)," said the official. The decision was taken at a high-level meeting of Punjab chief minister Parkash Singh Badal, police chief Suresh Arora and several top officials of the chief minister's office. The Congress and Sikh advocacy group and NGO Lawyers For Human Rights International, however, said this was not sufficient and the government must publicly fix the responsibility on the top cops who ordered the firing at Behbal Kalan. The Punjab Police had so far based its probe on a 40-second recorded audio conversation between the brothers in which alleged references were made to the desecration. Chandigarh: Punjab Deputy Chief Minister Sukhbir Singh Badal on Friday directed the state police to withdraw all cases registered against people protesting the alleged sacrilege of the Sikh holy book Sri Guru Granth Sahib ji during the last one week. "The sentiments expressed by the protesters were the result of extreme provocation and the state was with them in this hour of grief," he said. "My sentiments have also been deeply outraged by the desecration and I can understand the actions of the people", he said. The Deputy CM, who also holds the Home portfolio, said he had directed Punjab police to withdraw all cases registered against protesters at both Kotkapura and Behbal Kalan, both in Faridkot district, as well as anywhere else in the state. "My conscience does not allow me to spoil the future any youngster who has reacted in a charged manner after hearing of the desecration of the Sri Guru Granth Sahib ji", he said. Badal also appealed to Punjabis to maintain peace and communal harmony at all costs. "There are some forces who would like to disturb the peace in Punjab. We must not let such people succeed in their nefarious designs," he said. He also assured the people that the Punjab government was with them in their hour of grief and was taking steps to arrest the culprits responsible for this "ghastly crime" immediately. Early this week, clashes had taken place at Butter Kana village in Moga district, Kotkapura and Behbal Kalan in Faridkot district between activists of Sikh organisations and police which left two dead and at least 75 injured. Police have booked close to 500 people under various sections of the IPC in connection with the clashes.